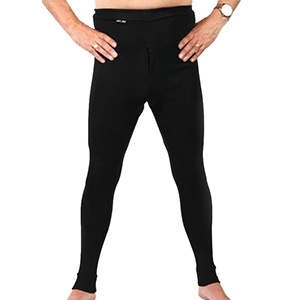 Ussen Baltic Long Johns are a UK-made winter weight thermal long john with fly. Made from a fast wicking material, the Ussen Pro Baltic long Johns will keep you warm and dry; the high waist keeps the cold away from the lower back and kidney area. A brushed and very soft Polypropylene thermal weave acts as a barrier to help keep warm air trapped next to the skin. Not as warm as the Extreme Performance (EP) range, but a lot lighter and suitable for high impact activities.